The AABS logo is an abstraction of a votive stupa from the Kusana period (3rd century CE) found in North Western India. 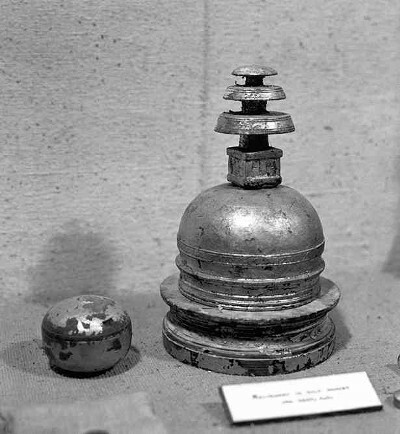 Reliquary in form of stupa, National Museum, Karachi, Pakistan. Copyright: Huntington, John C. and Susan L.